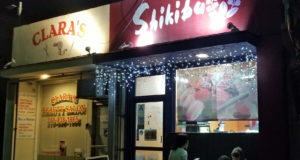 For some reason, even though this place is almost next to my favorite Shabu Shahbu place, I’ve never tried it until recently. It’s also near Halu Ulala, which is also in the same building. One problem about all 3 of these places is parking. I usually don’t go unless I happen to find parking on the street. 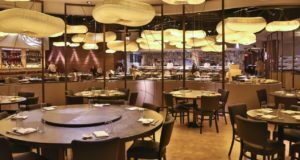 According to their website, Ebisu is owned by a bigger company called the Bishamon Group, which apparently owns a bunch of restaurants. 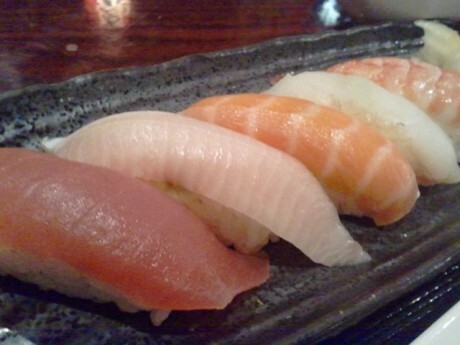 For this trip, I tried their combination ($15.95) which included Salmon and nigiri sushi. 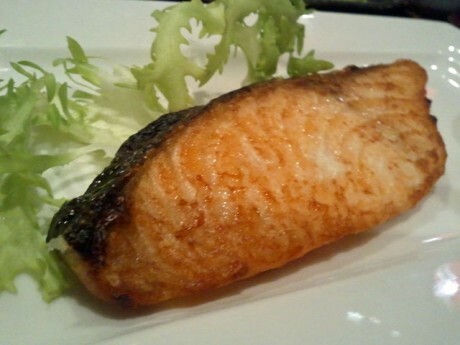 As you can see, the salmon was cooked properly and seasoned well. The sushi was fresh and properly prepared but nothing to write home about. For the price, this combination is a good deal. 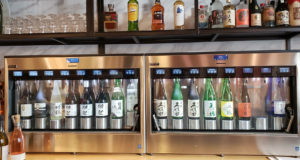 You can also get free green tea, which as readers of this blog know is a good sign for Japanese restaurants. The service was good and this place looks like it might be a fun place to come with a bunch of people and drink. This was just a quick trip but I might have to come back again for a bigger review.